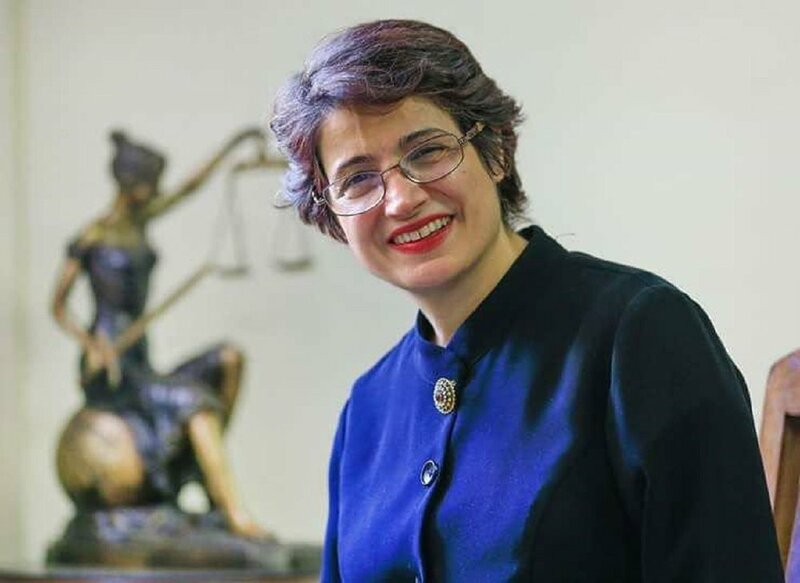 Nasrin Sotoudeh (1963), one of the last female lawyers in her country who takes a stand for human rights, is also on the Board of our member, the Iranian Women's Movement Museum. She was sentenced to 38 years in prison and 148 lashes, only because she fought for defendants to be able to appoint their trusted attorney! Nasrin Sotoudeh is one of the most courageous and consistent human rights activists in the world. She defended, among others, many women who have been unjustly imprisoned, because they protested for their rights in the streets. She campaigned for minors, minorities and human rights activists in general. Even her husband was arrested for this, and her two children are experiencing again and again that their parents - especially their mother – are imprisoned, because they fight for justice in their country. In 2008 she received the Human Rights International award in Italy - in collaboration with IAWM – and in 2012, she was awarded with the prestigious European Sakharov Prize. IAWM – the International Association of Women's Museums Worldwide – supports all organizations and people who are demanding the release of Nasrin Sotoudeh. We sign all initiatives that bring the deserved justice to Nasrin Sotoudeh and every other woman in this situation.